Next postPaperHaus Winter Issue Blog Hop Celebration! Ahhh, this is so interesting to look at with all the little bits … I especially like your little wooden items. 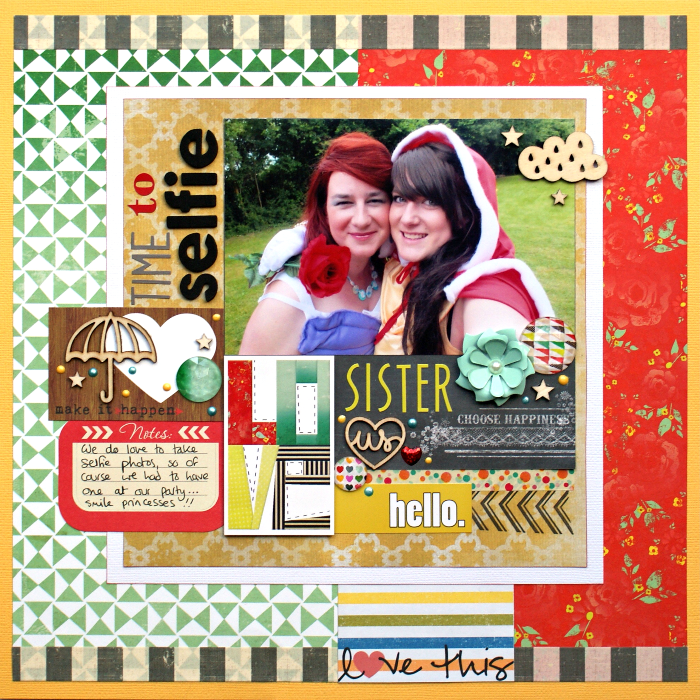 Gorgeous layout, love how you arranged your page and what a fun picture of the two of you! That birthday party is so cool! Love the costumes 🙂 works so well with the sketch and bright colors you scrap with! Great take on the sketch. 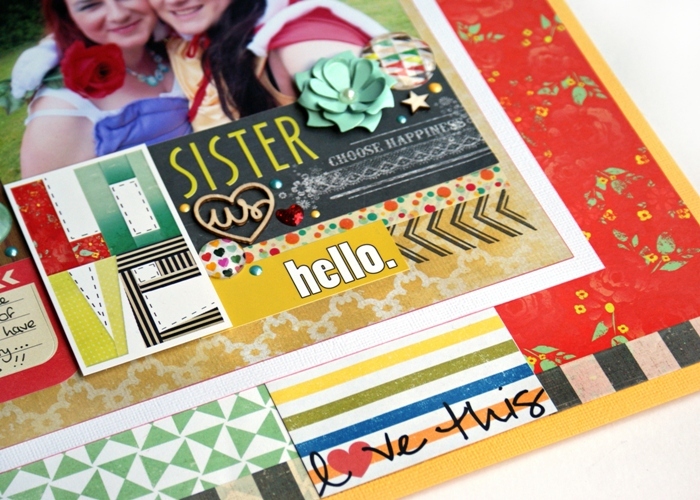 I love how you have mixed different paper collections and all the embellishments you have added. Awesome page! Great page! Love the bright pattern mixing. Absolutely stunning work – I love everything about this layout from fun photograph to your bright and happy colour palette, the way you have interpreted the sketch challenge – just gorgeous. Thank you for joining us! I finally got a decent holiday selfie this weekend. Great page – love the clearness of that selfie (your sis must have LONG arms) and the exuberance of the papers and embellies.